Last week to celebrate Child Life Month! Guest blog post comes from Colleen Toumayan at Chalk Preschool. March is National Child Life Month. While many organizations focus on traumatic events that might disrupt a child’s life, CHALK Preschool addresses the root cause of many of these events – the lack of a quality preschool education. According to a study from OunceofPrevention.org a child that does not go to preschool is at risk for the rest of his or her life: they are 25% more likely to drop out of school, 40% more likely to become a teen parent, 50% more likely to be placed in special education, 60% more likely to never attend college and 70% more likely to be arrested for a violent crime. 39% of the children ages 3 – 5 years in the US are not in preschool. Preventing these occurrences in any child’s life is the first step to providing a child with a better life. The US Department of Education reports that more than 1.2 million students drop out of high school in the United States -one student every 26 seconds or 7,000 a day. Other studies show that 16% of high school drop outs are unemployed, 32% live below the poverty line and 33% of recent female dropouts have given birth as a teenager. They are 3.5 times more likely to be arrested and 8 times more likely to be incarcerated for violent crimes. Any of these events would severely disrupt the life of a child. Nobel Prize winning University of Chicago Economics Professor James Heckman says the solution to these problems facing America lies in investing in early education and equal development of human potential. CHALK Preschool Online has made this possible. Every child can now access a quality preschool education at no cost. The CHALK Preschool Online curriculum is based on the proven program used in their five brick-and- mortar schools in Chicago and Los Angeles. With thousands of video lessons now online, there is a lesson plan for each day. Lessons are divided into age-appropriate classes and the videos are led by a teacher. Activities reinforce the lessons and point to “teachable moments” that take advantage of activities and craft projects done both indoors and outside. The CHALK curriculum online can be used at home by parents or care-givers, in day-care facilities or playgroups. 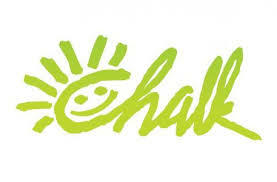 CHALK Preschool Online is the perfect solution for families who homeschool their kids and those who cannot afford to send their children to a quality preschool. However, it is just as valuable a resource for those children who are in preschool as a supplementary program of activities and educational games that parents, grandparents and children can do at home.